1. Tell us a little about Bloodspell and Bloodcraft? 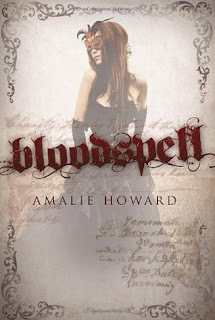 BLOODSPELL, which was a #1 Amazon bestseller and a Seventeen Magazine summer read, is about a girl who discovers that she a witch powerful enough to destroy the entire world because of a mysterious family curse, and must learn to control her magic before it destroys her. The sequel, BLOODCRAFT, resumes when Victoria and Christian head to Paris to learn more about the dreaded Cruentus Curse and whether it can be controlled, only to find out that both their species are being hunted by a supernatural force none of them ever expected. 2. What was the most challenging scene to write? Writing some of the romantic scenes was tough because I had to be so conscious of my audience and manage the scenes accordingly. A lot of younger people read BLOODSPELL four years ago when it was first released, but now in BLOODCRAFT, Victoria is an adult (she’s eighteen in this book). I needed to keep the relationship authentic to the development of characters while being sensitive to my YA readers. Despite the challenge, I think I achieved a good balance. However, due to violence, language, and sensual themes, BLOODCRAFT is recommended for ages 14+. 3. Did you have to do a lot of research for this book? I’ve been to Paris many times and studied there for years, but I did have to do some refresher research on certain neighborhoods to make sure I represented them correctly. I also did some fantastic research into Norse myths, which I used as the foundation for my warlocks in this novel. 4. Why did it take you so long to write Bloodcraft? Unfortunately, I had other contract deadlines with other publishers that I had to meet, which meant that this story had to wait. I’m glad I was finally able to finish it, though. 5. From level 1 to 5, how would you rate the romance in Bloodcraft? I would rate it at a solid 4. This story is essentially the story of two people from two different worlds who have to fight to remain together when everything is pulling them apart. It’s a paranormal romance at its core, but there are also many other exciting elements, especially for those readers who like a little more action with their romance. 6. Tell us something about Bloodcraft readers don't know? or Bloodspell. BLOODCRAFT was written 100% for the fans of the series (check out the dedication). I wasn’t initially going to write a sequel because of other deadlines and time constraints, but then a reader wrote me last year asking whether she should give up hope waiting for Book 2. I mean she was waiting years to read this sequel. It floored me. I was so incredibly humbled that someone loved my book so much that they refused to give up hope on waiting for the second book in the series. I didn’t want to disappoint her (or any of the others who have taken the time to write me or tell me how much they loved Christian and Victoria’s story, including an eighth grader who said she hated reading until she read BLOODSPELL). As a result, BLOODCRAFT is dedicated to my amazing readers—thank you so much. She is the author of several young adult novels critically acclaimed by Kirkus, Publishers Weekly, VOYA, and Booklist, including Waterfell, The Almost Girl, and Alpha Goddess, a Spring 2014 Kid’s INDIE NEXT title. 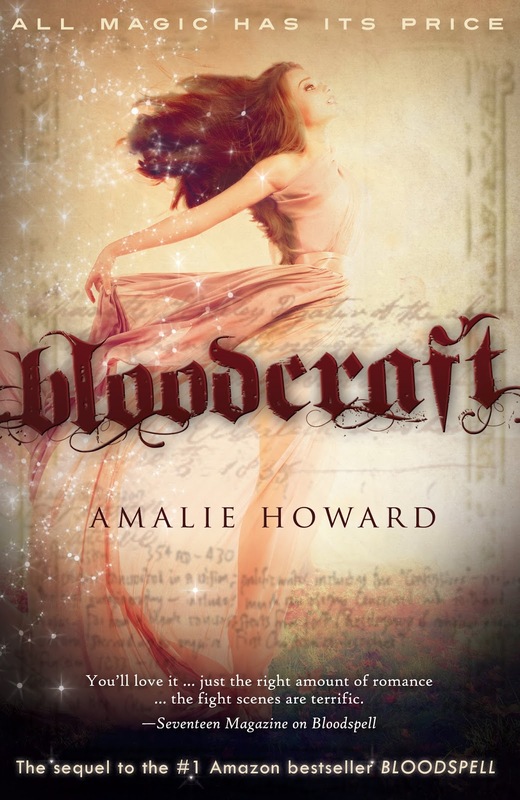 Her debut novel, Bloodspell, was a #1 Amazon bestseller and a Seventeen Magazine Summer Read. 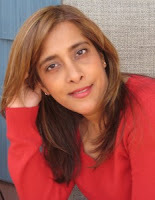 As an author of color and a proud supporter of diversity in fiction, her articles on multicultural fiction have appeared in The Portland Book Review and on the popular Diversity in YA blog. She currently resides in Colorado with her husband and three children. She is represented by the Liza Royce Agency and is a member of SCBWI. I cannot wait til next week!!! I loved Bloodspell!!! I just know Bloodcraft will be just as awesome!! !